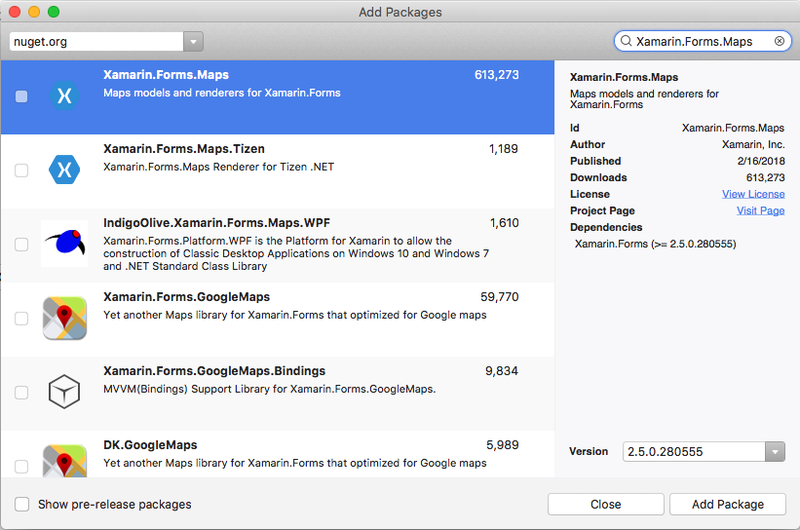 It will be until a later post that I will talk about preparing the Android project, but after this section, I will talk about the shared part of defining a map in XAML (although that will also be a part of the following post). Don't forget this package reference needs to be added to both the shared library project and the iOS project. 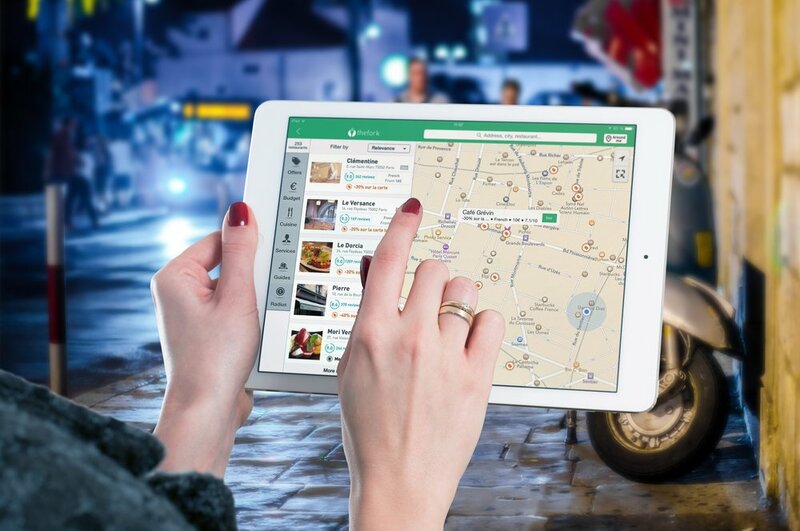 This is enough to make your iOS app be ready to start displaying maps. Now the only thing that is left is to define the Map like you would define any other element. Doing it through XAML will first require to add a namespace pointer inside the definition of the ContentPage that points to that NuGet package that we added. This namespace is the one that contains the Map class. Eventually, remember, this will work on Android as well (we only have to prepare that project, the XAML code is the same). 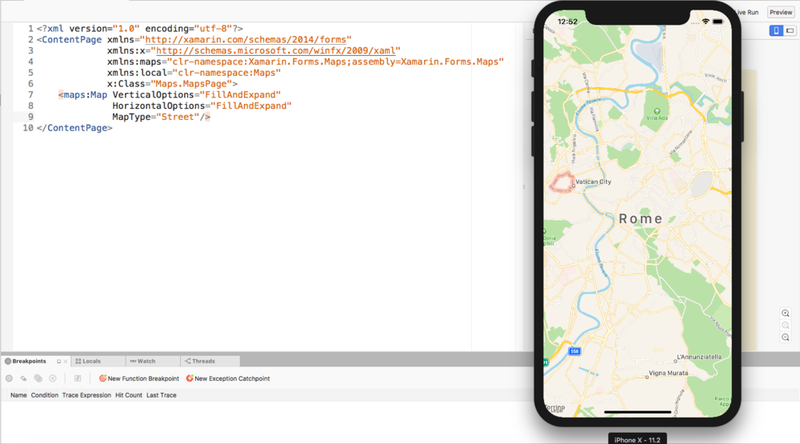 And what is interesting to me is that these maps are rendered as entirely native views, and the fact that we could go to the Map and change its type to Satellite, Hybrid or street is great, because Xamarin Forms is taking care of all the stuff needed for this to work on both platforms seemlessly.